A man was found dead Monday night at an apartment building in Old Orchard Beach. 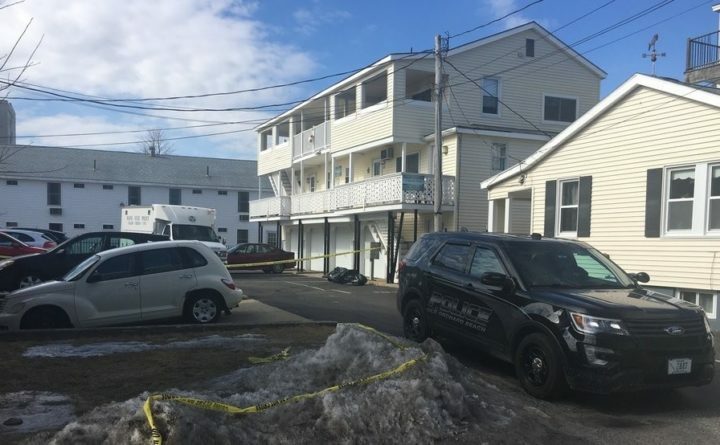 Police arrested a 40-year-old man Tuesday evening in connection with the death of his roommate, according to Stephen McCausland, spokesman for the Maine Department of Public Safety. Maine State Police, along with Old Orchard Beach Police, arrested Dustan Bentley around 6 p.m. and charged him with the murder of 65-year-old William Popplewell. Bentley was taken to the York County Jail in Alfred, McCausland said. Bentley and Popplewell, who were known to have stayed at the Oxford Street Shelter in Portland, had been living together in an apartment at 5 Boisvert St. in Old Orchard Beach for the past two months, according to McCasuland. Popplewell was found dead at approximately 10:30 p.m. Monday in the Boisvert Street home. Popplewell died from stabbing wounds and blunt force trauma, according to the state medical examiner’s office. Bentley will make his first appearance at the York County Superior Court at 1 p.m. Wednesday.